Get ready for some Holiday spirits as the first family of fright celebrates the season in the quirky and hilarious TV film The Munsters' Scary Little Christmas! Eddie Munster (Bug Hall) misses Transylvania and clearly doesn't think it's the most wonderful time of the year, so the rest of the Munsters -- Herman (Sam McMurray), Lily (Ann Magnuson), Grandpa (Sandy Baron) and Marilyn (Elaine Hendrix) -- rally to make him enjoy the holly, jolly magic that Santa brings. The Munsters' Scary Little Christmas is timeless and unique entertainment the whole family will enjoy again and again. It's a munsterpiece! 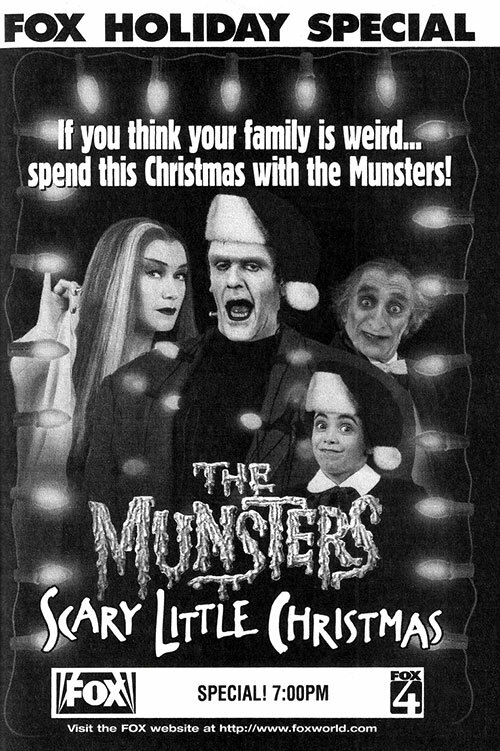 0 Response to "The Munsters' Scary Little Christmas (1996) Ian Emes"